Dr. Q Dental may recommend porcelain veneers for patients who have chipped, damaged, or discolored teeth or teeth that are misaligned and not a fit for the Invisalign® treatment. Porcelain veneers can replace the visible portion of your teeth with a thin, tooth-colored layer. They can address a variety of concerns for patients with otherwise good dental health. 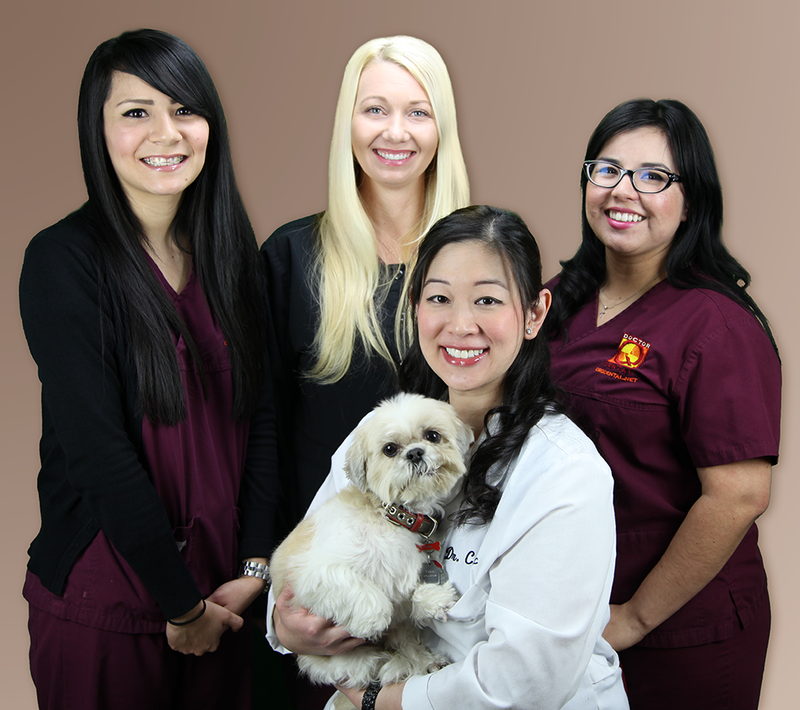 They can transform your smile within only a few visits to our office. Dr. Q ensures that her patients understand one important point: the porcelain veneer procedure is not reversible. When you opt for the treatment, you’ll need to wear veneers for as long as you have your teeth, and these veneers will likely need to be replaced over time. As a result, most people want to know how long they can expect porcelain veneers to last. Typically, patients can wear a single set between five and ten years. Many patients report veneers lasting much longer (up to several decades). What determines how long porcelain veneers last? The quality of the procedure: Dr. Q takes the time to bond veneers properly to the enamel of your teeth. This helps to achieve a strong connection that prevents the veneers from moving or slipping off. The type of materials: Dr. Q sources high-quality components for all of her procedures. She believes that patients should get the most from their investment in dental treatments, which is why she uses porcelain veneers (rather than composite veneers, which she finds less durable). Patient care: You can avoid cracks and chips in your veneers with good dental practices. Avoid hard foods and don’t crunch your ice or chew on pencils and pens. Dr. Q will likely recommend a treatment option other than porcelain veneers if you grind your teeth. Likewise, brushing your teeth and flossing can help avoid gum recession, which can expose the edges of the veneers. Choosing the right dental provider and following good dental care can help you keep your veneers in excellent shape for longer. Contact Dr. Q to learn about your options for improving your smile. Schedule an appointment with our practice by calling (626) 599-9818.